The reason I am dedicated to doing this work is simple: I love to walk and bike. And I want to help people and communities feel the same sense of joy that I get from walking and biking. The ability to work on projects that strive to create safe, connected places that everyone can enjoy is why I am at Alta. Gena brings a passion for health and active transportation, along with a background in design and the built environment. 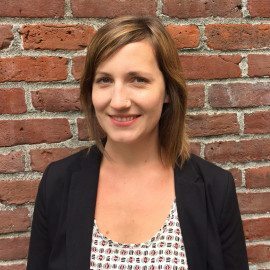 She has a BS in Architecture and a Masters of Urban and Regional Planning, with a focus on urban design and transportation, both from Portland State University.